In our world today where mobile phones have become a necessity, the competition among the mobile phone companies is so intense that they always try to create a mobile smartphone that can be set apart from the previous ones available in the market. 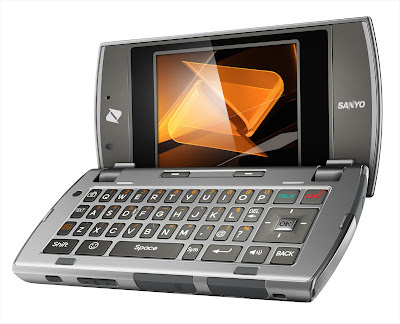 Take for example Sanyo and its newest smartphone that features a full QWERTY keyboard - the SANYO Incognito. It is one the latest addition to the line of smartphones and it comes with a reasonable price. You can also appreciate taking photographs because it has a 2MP camera with a VGA video capability. Web browsing is also made possible so you can instantly connect with your friends online via the social networking sites like Twitter and Facebook. Actually, during the Consumer Electronics Show held last month in Las Vegas, Boost Mobile proudly announced that the Sanyo Incognito will be available on their phone plan package for as low as $50 monthly without any binding contracts at all. This monthly plan also comes with unlimited calls, SMS and web browsing so you can stay up-to-date with your families and friends. You can avail of the SANYO Incognito™ SCP6760 for only $129.99 and if you order through the link now, you are entitled for free shipping.